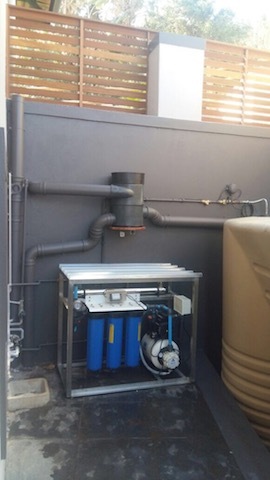 Our company designed and installed an integrated rainwater system for a house in Berea in Durban.The owner of the house had demolished the previous structure and have used the existing foundations and part of the structure to design a new house. From the outset our company advised on the integration of the rainwater system into the new building structure. Flow calculations was done and a rainwater piping system to the tanks were designed and installed. A rainwater storage area was built where two 10000l low profile water tank could be installed under the patio. The guttering system was redesigned and gutter sizes were increased to accommodate the recovery of rainwater off the whole roof of the house. 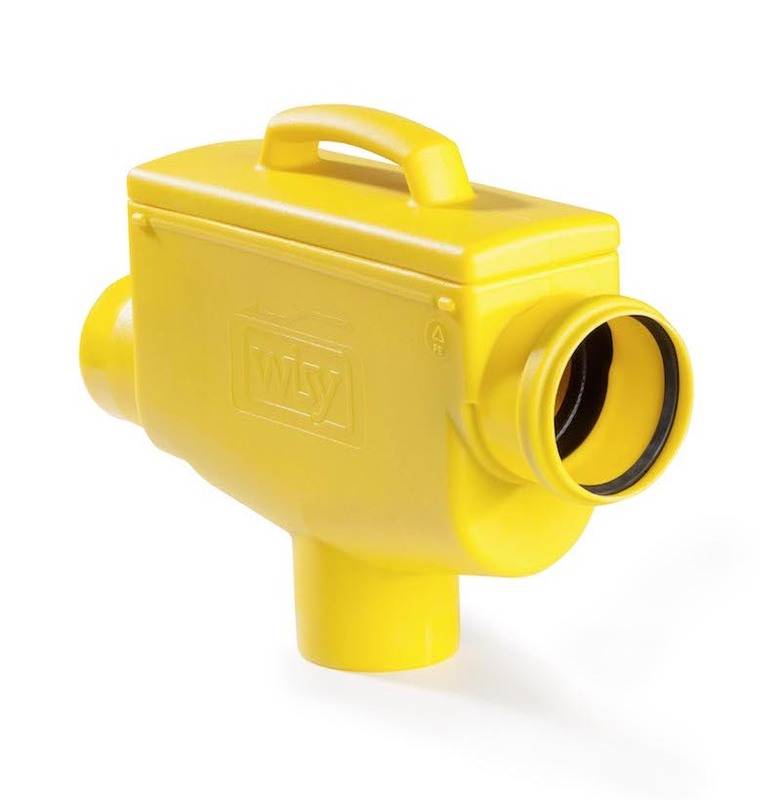 All recovered water is directed towards a WISY WF150 vortex filter where it is pre-filtered before entering the rainwater tank. A secondary first flush system further minimizes rainwater tank contamination. 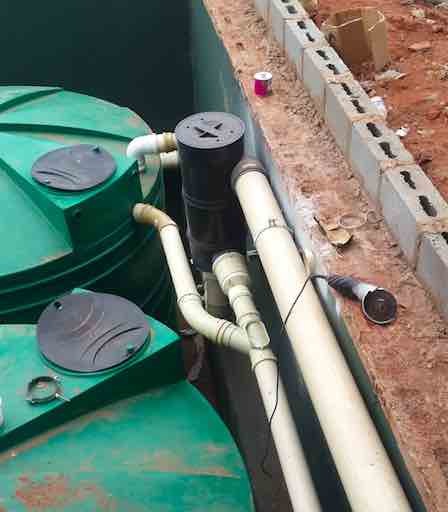 A backup water system was installed into the rainwater tanks to ensure that the household will always have water even during a period of water interruptions. 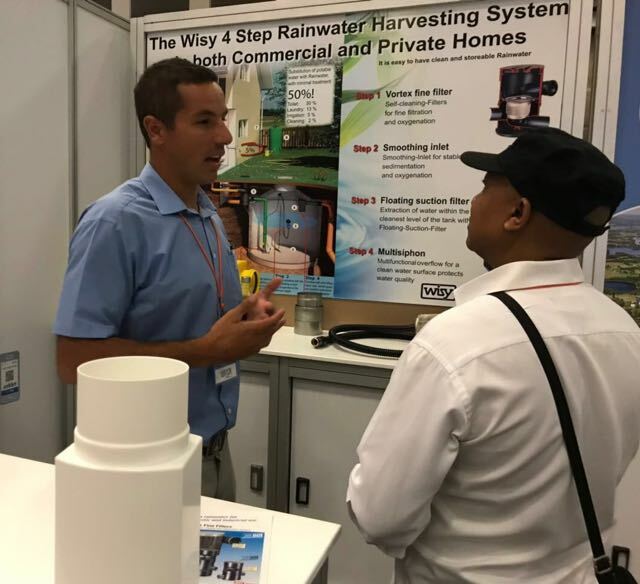 All water in the rainwater tanks are then processed through our five step rainwater treatment system and supplied back to the house as potable water.